Are Fairies real? 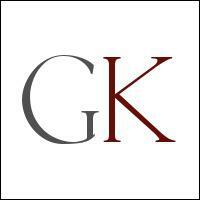 Do we each have a Fairy Godmother? Evie Forest has a Fairy Godmother, named Ella. It is Ella's job to make sure Evie's wishes come true. When Evie becomes terminally ill, can Ella, the Fairy, save her? ​All proceeds go to Madelyn Grace for her Healing and Wellbeing. Rose oil or the scent of rose has one of the highest vibrational energies. Lavender to help soothe and calm, Frankincense to bring in the divine and kosher salt to clear any negative energies. 4oz. 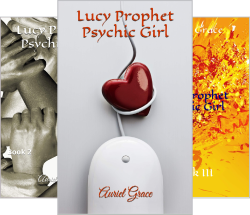 ​Lucy Prophet Psychic Girl Series - What would you do if you won the lottery? Lucy follows her heart and intuition on her adventures to her happily ever after! Lucy Prophet grows up knowing she is psychic and is encouraged by her parents during her childhood. After her parents die in a tragic train accident, she begins to have prophetic dreams about property with a waterfall. Her intuition tells her to follow her dreams. Lucy and her best friend Rad start searching for properties with waterfalls and buying lottery tickets! Will the Prophecy be fulfilled? Will Yzabelle be able to see beyond the circumstances of her life? Will she be able to forgive herself for all of the lives she took in order to keep her kingdom safe? What will happen when she is ordered to lay her sword down and marry the enemy? Where did Ambyr come from? Yzabelle found her in a animal pen during a raid on the isle of Ayre. Yzabelle loved Amber from the moment she saw Ambyr. Yzabelle could not locate Ambyr's parents so she adopted her. The presence of Ambyr changed Yzabelle's life. How did Amber get in the animal pen? Is Ambyr human? Is she an aspect of the Goddess incarnate? Where will the path of spirit lead Ambyr? Can she find balance as a priestess and princess? How many lives will be changed as Ambyr matures and grows in to a woman in this lifetime? Will the Prophecy be fulfilled? Will peace come to the countries of Telgira, Ausa and Auire?